Zürichs technical college graduated 25 Nobel Prize winners, including Albert Einstein, and Wilhelm Röntgen (who discovered X-rays). The Swiss national hero is William Tell, who shot an arrow from his crossbow at 50 paces to hit an apple placed on his son’s head. The Swiss flag is the only square banner in a sea of rectangle-shaped flags at the United Nations. 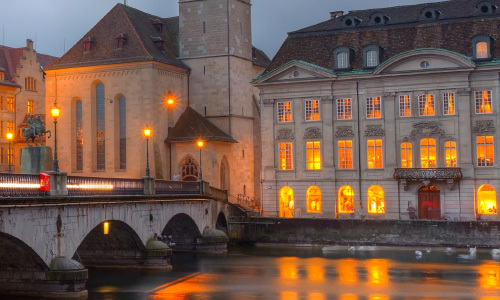 Extending for some 3,100 miles, the Swiss rail system is one of the world’s most extensive. In addition, the Swiss rank second in reliance upon trains (behind Japan) making more than 40 trips and clocking over 1,100 miles annually. Switzerland has more than 1,500 lakes, and it is said that you are never more than 10 miles from a lake anywhere in the country. 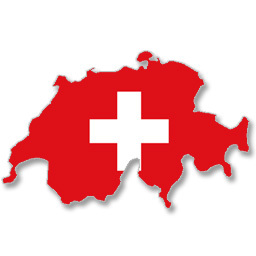 Switzerland has 3 official languages: German, French and Italian. 70 percent of Switzerland is covered by mountain ranges. The other 30% is the Swiss Plateau, an area of rolling hills. Most of the population live in this area.